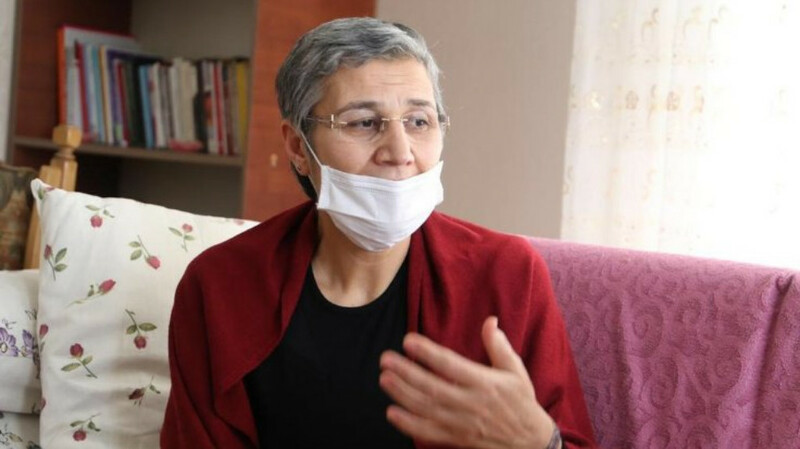 The hunger strike resistance led by Leyla Güven has been joined by thousands in Kurdish and Turkish prisons as well as in many European cities. 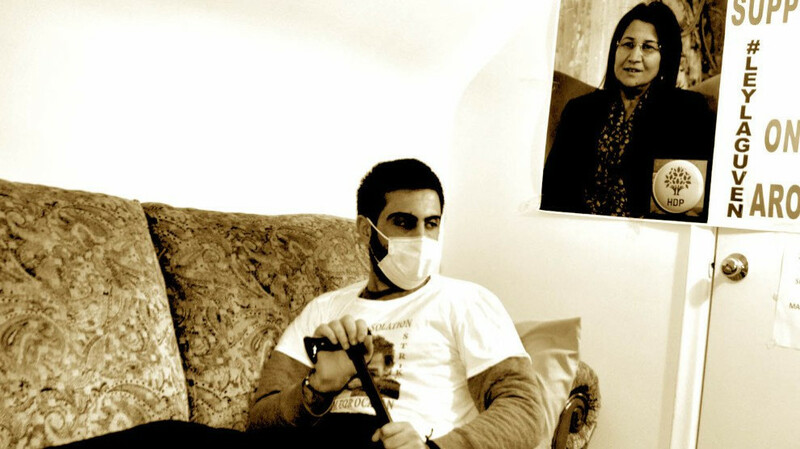 Alevi associations visited Leyla Guven, who is on day 167 of her hunger strike. The Iranian Crisis Center issued an official statement on the flooding disaster that affected 25 states of the country after a month passed. The official tally showcases the terrifying extent of the disaster. Munich Administrative Court acquitted an activist who had been on trial for carrying a PYD flag during a demonstration to protest the invasion of Afrin. Turkish state forces attacked the prisoners’ relatives and detained 20 in Batman. The hunger strike resistance in South Kurdistan demanding the end of isolation against Kurdish People's Leader Öcalan continues. Paris Pir Sultan Abdal co-chair Hüsniye Küçükkeleş and the representative of the Proletarian Revolutionary gave a message of solidarity with hunger strike resistance. The hunger strike resistance of the 14 members of the Freedom for Öcalan Initiative was launched on 17 December 2018, with the slogan ‘Let’s break isolation, let’s destroy fascism’. Kurdish Solidarity Cymru call on people to support a boycott of Turkish holidays in solidarity with Kurdish hunger strikers. Kurds and allies are to address European bodies that have remained silent against the isolation and the hunger strikes in Brussels. Turkish police attacked lawyers from the hunger strike commission and human rights defenders in Ankara, using weapons and pepper spray and detaining several people. Hunger striker Yusuf Iba said, “We won’t stop our protest until we achieve our goals,” as his health deteriorates. Iba called on peoples and institutions to support the resistance. According to the Washington post, the US government is preparing to lift exemptions for 8 countries that import oil from Iran. The Kurdish politician launched the hunger strike resistance on 7 November 2018 demanding an end to the isolation imposed upon Kurdish People’s Leader Abdullah Öcalan . Following the attack on the CHP leader Kemal Kılıçdaroğlu on Sunday, the party will hold a press conference in 81 cities simultaneously. Put up your poster against isolation! German activists will launch a campaign on Thursday 25 April and asked everyone to put up a poster against isolation and in support the 7,000 Kurds on hunger strike. The 14 Kurdish activists on hunger strike in Strasbourg reiterated their determination in continuing their fast until isolation is lifted. Protests against the isolation of PKK Leader Abdullah Öcalan continue. Since the first day of the protest, the activists have been visited by a number of Kurds and their friends in Europe. Again, the police attacked a sit-in protest in Gebze. Relatives of prisoners on hunger strike have been demonstrating in front of the women's prison in the western Turkish town for two weeks. There were several arrests. Police attacked a demonstration against the isolation of Öcalan in Istanbul and detained at least 14 people. 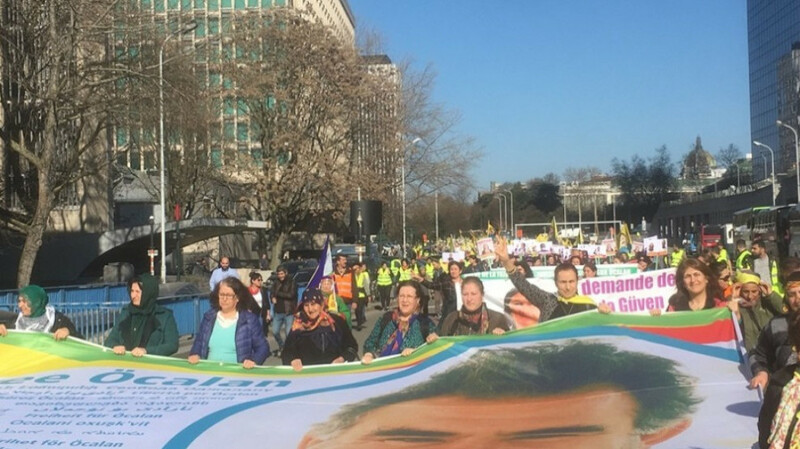 Actions in many European cities continue protesting the isolation of Kurdish People's Leader Abdullah Öcalan.